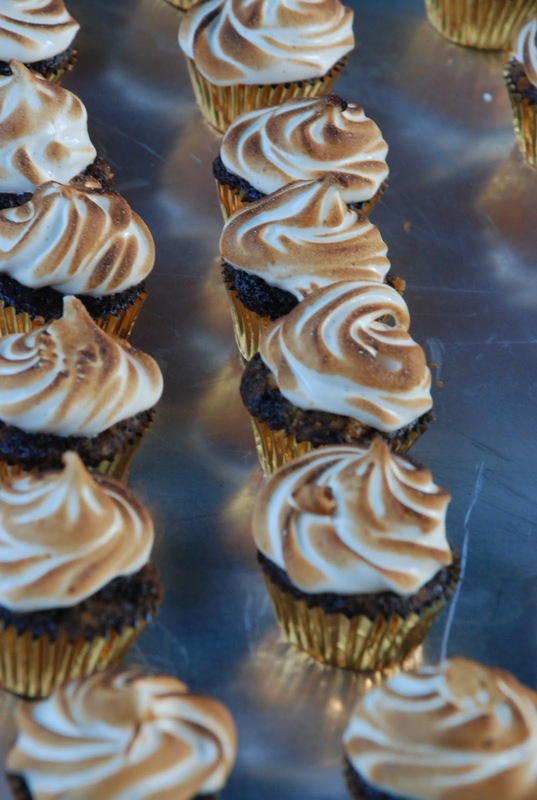 Mini s’mores cupcakes. 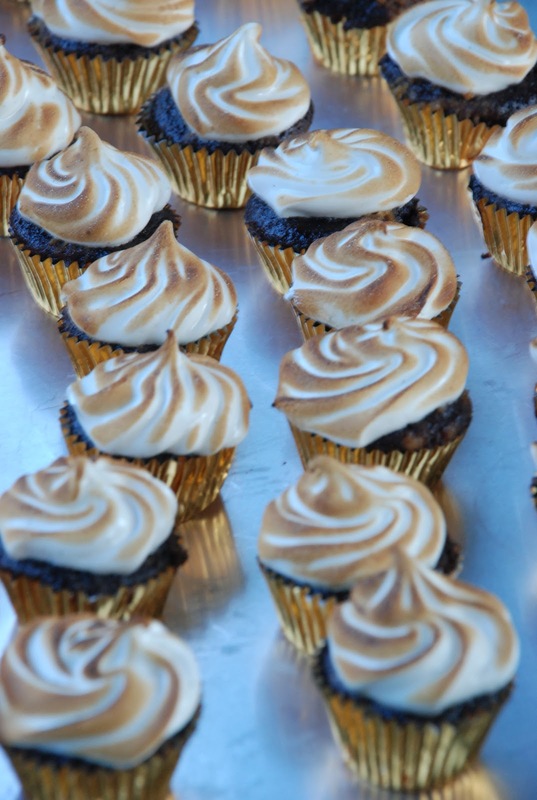 They taste just like the real thing, but with more marshmallow and chocolate. 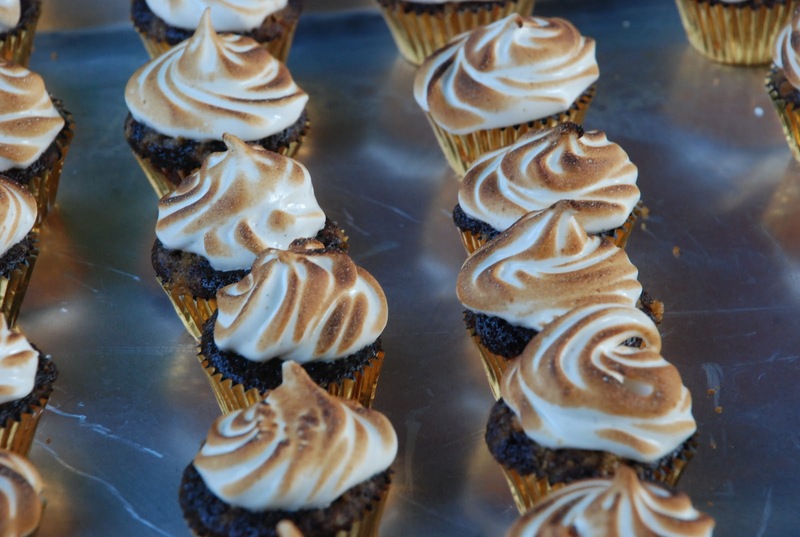 These baby cupcakes have a sweet graham cracker bottom crust. The cake is chocolate with graham cracker pieces and more graham cracker crumble on top. 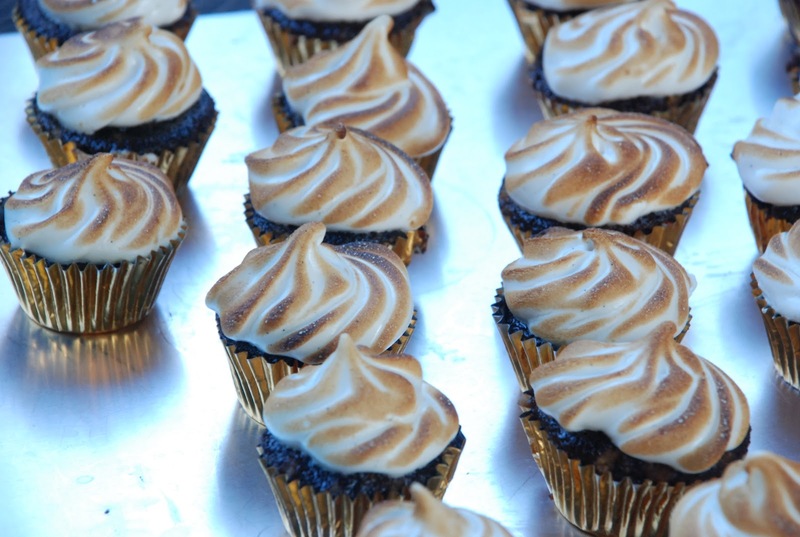 The topping is marshmallow frosting, which I then gleefully attacked with a blowtorch. So adorable and so easy to eat. Everyone had a few because they’re so hard to resist! My favorite thing about these cupcakes is that they don’t have to be perfect. 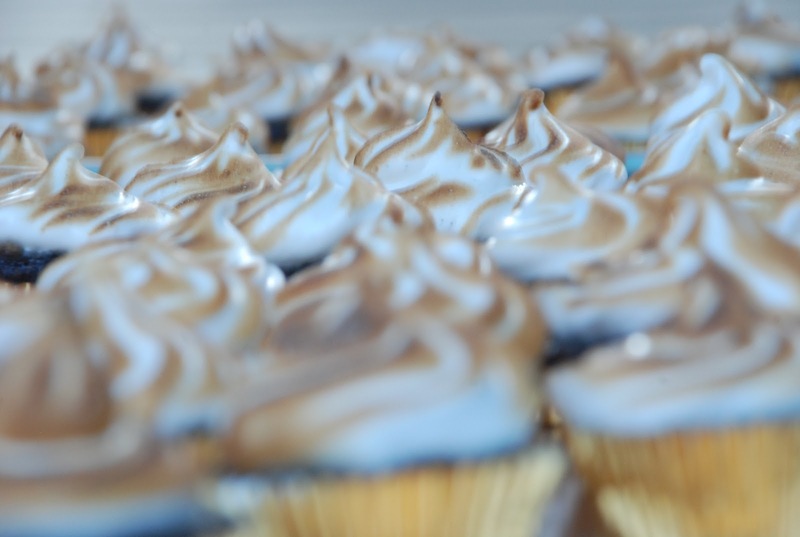 The marshmallow frosting droops a little and sometimes they’re torched unevenly, but I think that just adds to their charm.